Thanks TifLinDesign for this Welladay! Welladay! flyer. 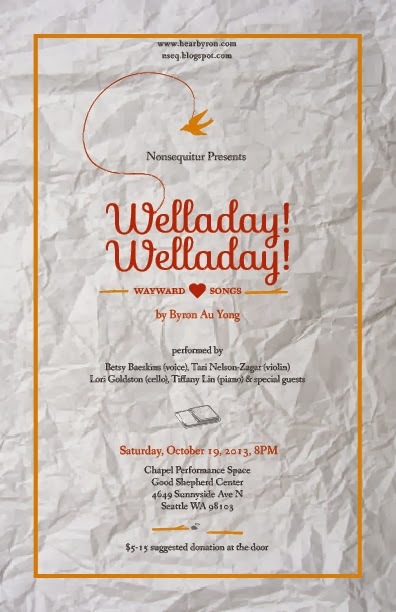 The event, presented by Nonsequitur in Seattle's Wallingford neighborhood, happens October 19, 2013. Expect crumpled paper + wayward songs to fill the historic Chapel Performance Space.